I have a policy that I do not refer to LeBron as "King James" under any circumstances. Unfortunately the above title was just too good not to use. But, I think I made up for it by not capitalizing the "k" and putting the word in quotes. 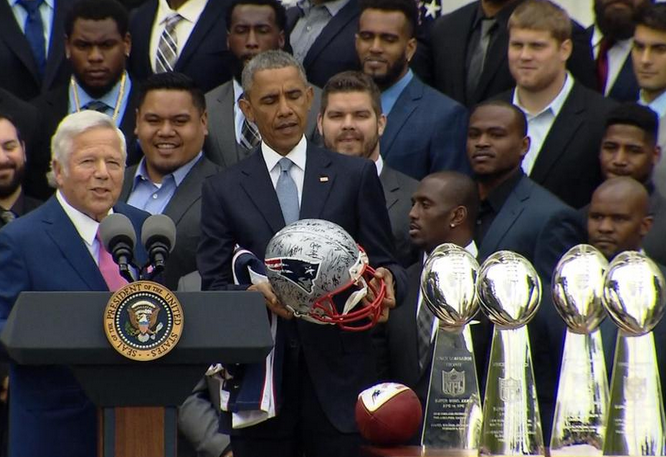 President Obama congratulated the Patriots for their Super Bowl championship at the White House today. That got me thinking--if the Pats can all gather in D.C. right now, why couldn't they also get together for a parade in Boston this time of year instead of in February with 63 feet of snow?